LinkedIn is an untapped goldmine of leads but few people understand how to convert those leads into clients. The sad fact is, there are very few who are using LinkedIn to build meaningful connections that translate into measurable sales results. Forget the old sales and marketing gimmicks. In this eye-opening book, Melonie Dodaro explains how to master social selling on LinkedIn to generate B2B leads and clients. 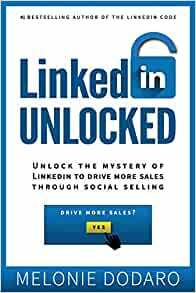 From the author of the #1 Amazon bestseller The LinkedIn Code, LinkedIn Unlocked is the new, updated, and definitive book on attracting more leads, clients, and sales from LinkedIn. LinkedIn Unlocked comes with a bonus package ($221 value), including a free companion workbook (includes all of the exercises, worksheets and templates), video training and a masterclass to help you maximize your results with social selling on LinkedIn. 5つ星のうち5.0The LAST book you will ever need for Linkedin... Ever. Like many people, I had a Linkedin profile that just sort of sat there. About 6 months ago, I got serious and starting putting time and money into leveraging this platform to build my business. I purchased a few courses, hired a few consultants and even an assistant to help with my outreach. All total, I invested over $7500 in 6 months. My results were quite good, actually (grossed over $46K in new business). WOW! There is actually no comparison to any other program, methodology, strategy or tactics when it comes to positioning your business on Linkedin than "Linkedin Unlocked." Melonie's reputation proceeds her, and this book is obviously the culmination of her years of experience, success and RESULTS she has attained for herself and her clients. -Do NOT use any major software or automation on Linkedin... she lists the one exception on page 159. -The major difference between a customer avatar and how THEY think of themselves... she outlines this perfectly on page 26. -The nuances of KEYWORDS with Linkedin... with full details on page 54. This book has totally re-energized my business strategy moving forward. You'll find yourself going back to this book not only for inspiration but as an ongoing reference. It's worth 100X the price... if you use it. Melonie Dodaro has done something exceptionally rare in publishing “LinkedIn Unlocked”. She’s written a fabulous and state-of-the-art book on how to leverage LinkedIn for Social Selling. I’m not aware of any comps that meet this standard of concurrently thorough, sophisticated, wise, and accessible. And really, the book itself is that oft-missing-in-action tangible example of marketing at its best, the elusive “right messages on the right subject delivered to the right folks at the right time." There’s very little question but that LinkedIn Unlocked succeeds on each of these points. Just as the platform reaches a key inflection period, with strong momentum, and with its benefit to B2B sellers simply undeniable, the book couldn’t be coming at a more key juncture. I’ve had the pleasure of sharing a tweet here and there with Ms. Dodaro but that had no impact on either the five-star ranking nor on the contents of this review (other than that that I can add that she truly seems like a really nice and cool person). As Ms. Dodaro would quickly remind me, and what I do know myself even if I’m about to ignore It, my reviewing the book has nothing to do with me, but going to briefly touch on my background. I write reviews infrequently, but when I do, they are only for books that I feel like I can easily assign five stars and that strike me personally as in the “exceptional” tier of the relevant subject matter. Sometimes I write on my own initiative, other times I write at the request of the author, but again, the five-star standard holds for requests. This is because my joy in books and reviewing them here and there is the sharing of awesome knowledge. I’m hardly a writer myself, no literary critic, and if I don’t care for a book, my life moves on, I have no interest in causing anyone any negativity. I share this because I should say – I’m not certain I’m qualified to truly review this effort in-depth, in that while I can keep up, Melonie’s expertise on the matters central to the book blows mine out of the water. However, as with many others, I’ll be working with and learning from, the book moving forward. Several years ago, when I had decided to transition to finance/investment banking from corporate law (I am indeed an exec at a communications agency now – long, non-interesting story), I joined LinkedIn and spent much time on an older version of the platform. I’m a rare millennial who has largely learned social for work (somehow, I’ve taken to Twitter, I have never had interest in an active Facebook presence) and back then LinkedIn was the only trace of my online presence (which has grown and developed a bit but not as much as it should have had I been paying attention). LinkedIn served me wonderfully and I promptly forgot about it. Then, helping to lead strategy at a full-service agency, I came to know the basics of LinkedIn for purposes of clients’ content. I’ve also become active on the network again and frankly, a large part of me thought I should wait to review the book until I had implemented many of its spot-on suggestions. I decided to move forward because I think it’s been a stimulus for me to reflect more and with greater meaning on my own LinkedIn page, which will get a complete overhaul in the pretty near future. The timing is good, While I am happily staying on as a full time senior exec at my agency, I’m in the very initial baby steps of growing my own clientele as an independent consultant. I have every expectation of selling socially on LinkedIn. But not until I’ve fully implemented Melonie's program- at which point I expect LinkedIn to be a profitable platform for me. I hope that it Is as well for anyone reading this. The writing going forward is from the POV of the blend that I am: a marketing professional experienced in representing B2B firms across an array of industries, verrrrrry new business owner (who’s not fully engaged in that process yet, but it’s coming) and as someone who several years back, was fortunate enough to have wonderful mentors who gave me LinkedIn introductions that helped me alter my career path. While this book is terrific for a variety of audiences, social selling businesspeople are the target, so I'll write primarily from that perspective. 1. It’s entirely written from the core basic idea that life is about relationships, not connections. The author, based on her writing, has discovered that to be true in a very personal and wonderful way in her own life, and she knows of what speaks/writes. When the book speaks – and it does often – about relationship building it means, really, a relationship. Indeed, a relationship that in most cases needs to be effectively nurtured offline to do a deal. Maybe 90% of books on social media marketing say nothing about offline business. I’m grateful this book is not only different, but in many ways is geared to getting the social seller off line with his or her prospects under the right circumstances. The book’s focus here lends the rest of the text great credibility. 2. The author uses the objective evidence to make the strong (in my view, incontrovertible) case that folks who perform social selling on LinkedIn, when done correctly, do more and better business. And it’s not close. There’s not hyperbole or gospel here and the author practices what she preaches. But to be clear, while for whatever reason too large a segment has chosen not so much deny as to be oblivious to it, LinkedIn has always been the vastly preferred social platform for business professionals looking to do business. It’s user base continues to grow, Microsoft believes it’s core to the that firm’s future and continues to invest mightily in it and LinkedIn keeps getting better for business people. Indeed, as this book went to press, LinkedIn announced that it will allow a trial run of professional businesses to put native video advertising on the platform. LinkedIn had unfortunately been viewed as having been late in permitting B2C native video ads, but the consensus was no doubt (perhaps to its own surprise) happy with the ultimate offering, especially with how well targeting can work. To be on LinkedIn as that capability comes to the business members is an interesting time to be on for sure. 3. In the marketing and communications book space generally IMHO, a book that doesn’t at least annoy you – or even really make you mad – for stretch – isn’t worth much. Those are the rare books that dare to force you, the reader, to examine yourself in depth. This can be a pretty deep process. I am only just starting it, I have the benefit of having done it once before, and to be clear, I’m very grateful for the chance but I’m also annoyed on it, especially in thinking about the need to completely modernize and optimize my LinkedIn profile. I don’t particularly feel like nailing down everything correctly this second. And it’s that dangerous attitude I just expressed that makes me glad I feel annoyed, as it’ll motivate me. The assignments this book offers can be read briefly, but they pack a punch. It’s effort and thought and I plan to go through the book again from the start, doing all the exercises as they come. I’ll do that because I think they’re structured so perfectly to draw the right insights out of me re: who I am, what I do, who my ideal customer is, who my actual customers are, and how I can help them and provide them with a great experience and added value that they’ll ultimately be carried directly into my new LinkedIn profile as it develops. 4. Really summarizing the end of the point directly above, the book takes the reader line by line through the LinkedIn profile with a spectacular overarching view and tons of great particular tips re: how to optimize it. 5. I love books that take the time to address etiquette. Manners mean much to me in person and professionally. But in a rapidly changing social climate, it’s easy to make mistakes. So, the review of LinkedIn best practices and etiquette is very much desirable and should serve as a huge help and guide. 6. Appropriately, two full chapters are devoted entirely to the use of your firm’s content on LinkedIn. Another instance where the book and author just get how it works, likely since the author really does it for a living. While there’s no claim that each new piece of content needs to win a Pulitzer Prize, the goal is ambitious but crucial – to become known as an authority in your field in addition to the typical (and effective) laundry list of inbound benefits that seek to help customers find you on their own volition after seeing some of your good content. 7. Good discussion of keywords. Particularly relevant in that very often the LinkedIn profile is an important page for purposes of SEO ranking. 8. As appropriate for a topic of its import, about half the book is dedicated to a highly specified series of funnel stages leading directly to a final process of coordinating details for an offline sale or conversion - for which LinkedIn’s assistance is most readily tapped: to find hot prospects. Here, the following stages and documents are critical: a) find prospects on LinkedIn, b) send LinkedIn connection, c) send welcome message via LinkedIn (assuming a connection is made) d) send relationship builder message on LinkedIn (one-two weeks post welcome message) and e) Send LinkedIn message to coordinate offline meeting. 9. Not only is this an exceptionally well thought out funnel, customized beautifully to what LinkedIn does best, the author provides further help. 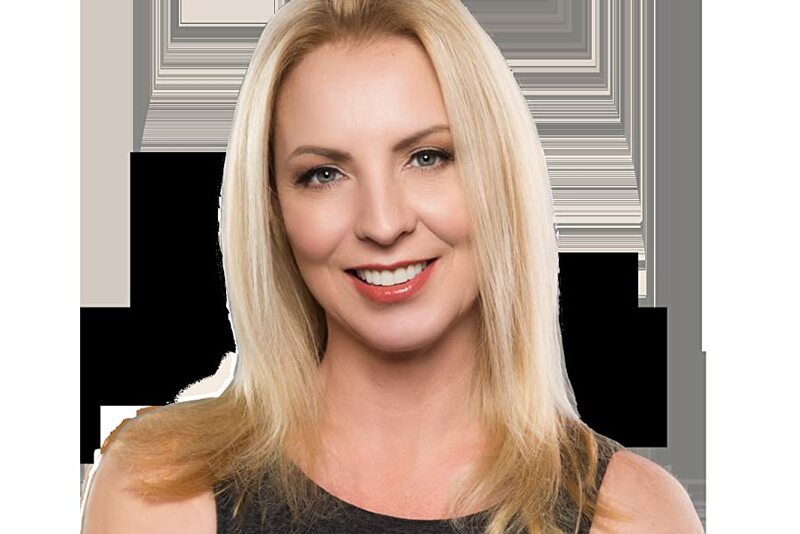 Most significantly in this respect, she devotes two chapters to the concept of building a "Social Selling Playbook" generally and then actually customizing your own Playbook for moving forward. 10. In laying out the Social Selling Playbook, Melonie reviews all key funnel elements as customized for LinkedIn, provides new tips and then, in walking through all the types of actions that will go in the Playbook, delivers a concise tour de force recap of an inbound funnel and offers specific guidance for when and how often each of a considerable – but not overwhelming – number of tasks need to be performed on LinkedIn. It is not required, but the author suggests that users of her system on a daily basis: a) find prospects on LinkedIn, b) send connection requests, c) leverage existing client relationships, d) send welcome messages to new connections, e) accept new connections, f) send relationship building messages, h) send messages to relationships to move offline, i) respond to replies/messages received, j) review who’s viewed your profile, k) post status updates, l) review notifications and m) review your activity page. Weekly activities might include nurturing prospects, focusing on hot leads, posting articles on LinkedIn Publisher, requesting warm intros and referrals and finally, during additional time, ask and give recommendations and/or skill endorsements. 11. As noted, by the time of completion, you’ll have written your own Social Selling Playbook, the detail provided is intricate but intuitive. You’re forced to grapple with what quantities to assign to KPIs, e.g. how many prospects do you want to connect with each week? You then use the Playbook to document all activity which leads to accountability, The Playbook as kept current by you offers a treasure trove of data for you to analyze and make improvements based thereon. Indeed, you’ll be making your own detailed KPI tracker in which you’ll assign defined prospective values to KPIs (the author’s guidance on good starting metrics is excellent). 12. The author then discusses ROI in a way that’s really quite practical but seldom used in the industry by having the reader examine what might occur to cause missed KPIs? It’s a brilliant inside out approach if you will. 13. Finally, the book truly goes the extra mile in offering an extended and informed discussion of what type of LinkedIn membership is right for you and whether you need Sales Navigator. There’s much inherent flexibility built into the book but personally I’d caution being too flexible with what is an empirically-driven and validated process custom designed by one of our leading thinkers about how best to unlock LinkedIn. All the best! The end of 2018 I was scouring for a coach, program or any kind of help i could find to help unlock social media for my business. I did find 3 coaches that were pitching some wonderful courses and 1 of those coaches actually got me on a call and suggested that linkedIn would be perfect for me as a B2B business. i had never heard this before and sought out do some more research on my own. after a few hours of online research I kept stumbling on articles from Melonie and they were chock full of so much goodies. I double dared myself. If i could read through her book and implement some of the principles and see a difference, i would definitely sign up for her course when i was done. So well im only half way through the book and it has already blown my mind. My recommendation for anyone reading this book, is not to power through it like a speed reader. Read a few pages, then go implement the changes, then repeat. The race is not for the swift, but he who endureth. This book is an absolute gem, and its worth every penny. if you dont get value out of this book, then i would suggest getting melonie on the phone. LinkedIn has always been my favorite social network. And the reason is rather simple - it is a crucial digital Rolodex that has the power to accelerate your career and your business. And lately LinkedIn has become a powerful media company as well. Mastering LinkedIn for your success isn't a nice-to-have anymore, it's a must. In her book Melonie Dodaro is giving you a roadmap to doing so. Pick up your copy, follow her advice, and reap the benefits.